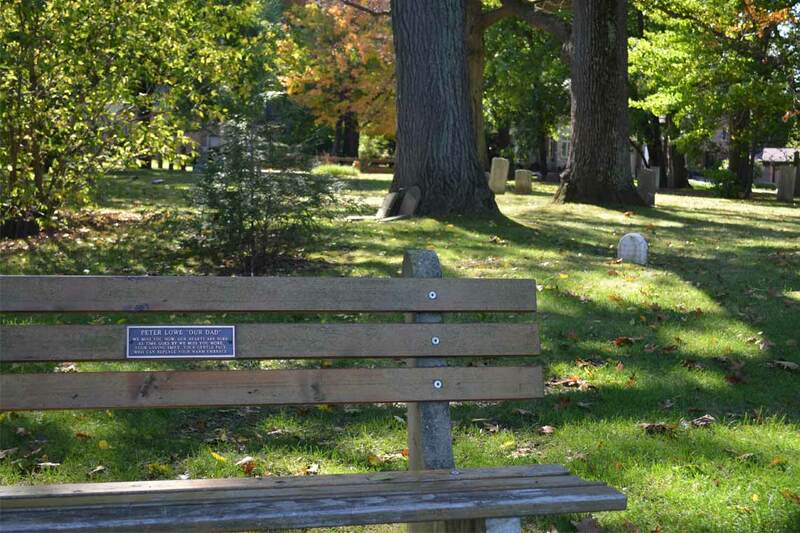 The Town of Oakville’s Memorial Bench Program gives you an opportunity to adopt a bench in memory of a loved one, to dedicate a bench to a friend or family member or to commemorate a special event. The gift of a bench is a lasting tribute that benefits the community as a whole by enhancing your community’s parks and open space areas. Town staff will work with you to select a location that meets your needs as well as the town’s criteria for the program. Benches can be ordered throughout the year and plaques are installed 8-12 weeks following the placement of an order. However during winter months, access to some locations may not be possible so the installation may be delayed. Once the plaque is installed, your bench will be cared for by town staff. Please note: only existing wooden benches are available for adoption and not all park or cemetery locations are available for placement. Select your preferred location, take a photograph of the bench, and complete the Memorial Bench order form (pdf). Submit your application along with the photograph to ServiceOakville. The town requires a non-refundable deposit of $350. After the plaque is installed the town will provide an invoice for the remaining balance. A five year contract for a memorial bench is $1,715.91 plus tax. The initial payment covers the refurbishment and maintenance of the memorial bench for the first five years, plus a personalized cast bronze plaque. The commemorative plaque, 20 cm by 8 cm (8” x 3”) is carefully flush mounted in the backrest of the bench. Placement of memorial wreaths, flowers, or other items on or around the bench is not permitted. A contract renewal fee of $703.29 plus tax (fee subject to change) is charged every five years to cover the cost of regular bench care and maintenance. If you do not wish to renew your bench contract after five years, or we are unable to contact you, the plaque will be removed and the bench will become available for adoption. It is your responsibility to ensure town staff has your most current contact information.